Earlier this week, some promotional material for the fourth season of Agents of S.H.I.E.L.D. surfaced showing some fiery chains that looked an awful lot like those most often associated with Ghost Rider. Of course, fans were quick to point out that they more than likely belonged to Hellfire, the Inhuman set to make his presence felt in a big way when the show returns. As a result, any theories about Ghost Rider showing up in the ABC series were quickly forgotten. However, new evidence that surfaced today leads us to believe that a version of the Spirit of Vengeance really is coming to Agents of S.H.I.E.L.D. It was recently revealed that Marvel is looking to cast two Latino brothers, with one who is “always the most dangerous person in the room” and the other who is confined to a wheelchair. That sounds awfully similar to Robbie and Gabe Reyes from the company’s failed Ghost Rider title which launched as part of their Marvel NOW! initiative in 2014. Rather than riding a motorcycle, Robbie utilized the powers of Ghost Rider in a muscle car, and the similarities between him and his brother and the characters alluded to in that casting call are pretty clear to see. 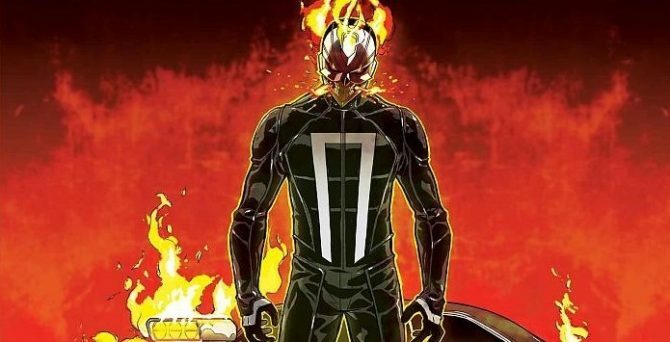 Marvel Studios quietly regained the rights to Ghost Rider after Sony failed to launch a franchise starring the character on two separate occasions, but him being part of Agents of S.H.I.E.L.D. honestly feels like a waste, especially when it’s the least popular iteration of the hero. They’d be much better off going with Johnny Blaze or Danny Ketch. We’ll just have to wait and see how this develops, but as of right now, the signs really do seem to be pointing towards Agents of S.H.I.E.L.D. getting the Spirit of Vengeance.